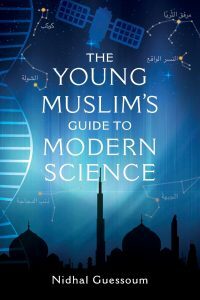 The Young Muslim’s Guide to Modern Science is aimed at high schoolers, university students and teachers, and anyone wanting to understand what modern science says. This book presents a wide range of topics, from the Big Bang to genetic engineering, in simple, clear, and scientifically accurate language, but also showing the Muslim or religious reader how this all fits with his/her beliefs and cultural background. Dr Nidhal Guesssoum shows how it is possible to uphold both one’s religious teachings and the scientific education that we acquire in schools, in total harmony and without sacrificing one or the other. 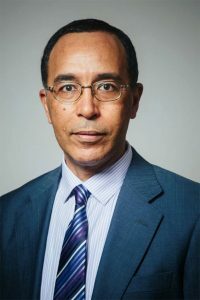 Professor Nidhal Guessoum is an astrophysicist who has done research in many parts of the world, including having spent a couple of years at a NASA reasearch center. He now teaches at the American University of Sharjah (UAE), is a member of the Science Team of the UAE’s upcoming Mars mission, and collaborates with colleagues of Europe, Asia, and America. He is most excited when he involves students in his research projects to have them discover the cosmos hands on and get the thrill that comes from it. By turning his attention to young people, Nidhal Guessoum helps bring science to the most important group that needs to be exposed to science in Muslim societies. In doing so, he does not shy away from tackling what have long been sensitive issues, but he does it in a way that is simple, accurate, rigorous and accessible to younger people. The diversity of topics explored makes every chapter exciting and fresh, and I hope that the book finds its way to every school and library, as I think everyone – and not just young Muslims – should read it. I hope parents keep a copy on their bookshelves, and when their children start picking it up, it may very well ignite their love for science. If writing is a great invention, then writing about science is a craft, and answering awkward scientific questions by children is both a craft and a gift mastered by few. In many Islamic societies, children do not ask as many awkward scientific questions as they should. When they do, their questions are often shirked and eschewed for fear that elaborate answers may bait their young minds into doubt and uncertainty. We forget that these are the preconditions for creativity and a blossoming scientific enterprise. Nidhal Guessoum’s carefully crafted book is a fresh attempt to unshackle parents and teachers from answering questions about science. It discusses a number of issues critical for budding scientists in the Islamic societies and indeed for young Muslims in general. 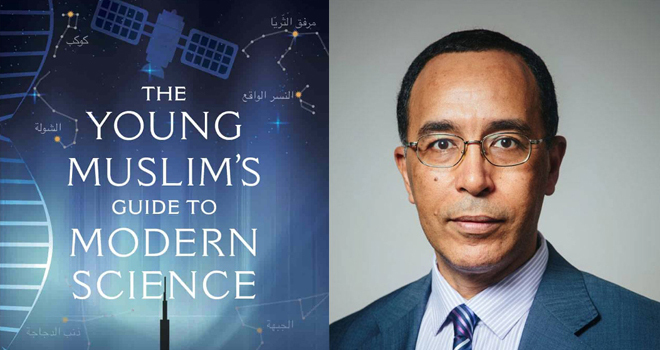 The Young Muslim’s Guide to Modern Science is a timely addition by an enthusiastic science communicator to the not-so extensive library of books on science and Islam. It is essential reading for young and old alike. Nidhal Guessoum substantiates an excellent program for science literacy to be adopted by Muslim officials and educators. Indeed, unless Muslims solve this problem of science illiteracy effectively, they cannot meaningfully deal with the various problems facing the Muslim world today, much less have a voice in global world affairs. In brief, we need books of this kind at all levels, for all age groups and in all forms of education. Young readers and their parents will find Nidhal Guessoum to be the science teacher that few of us had the privilege to experience. He is patient, knowledgeable, engaging but never patronising. Like the best science writing, The Young Muslim’s Guide to Modern Science will help to settle old debates and ignite a few new ones. This book is the first of its kind. It is accessible and easy to read; it is as if you are having a conversation with the author; it is unique in its positive approach to science and Islam. The book addresses challenges we face today in schools and everyday life. It is comprehensive without being too detailed. It gives a road map, a guide for how to handle controversial issues in science and Islam. I loved it. I will use it as a must-read for my students. I recommend it to Muslims and non-Muslims from every age, culture, and background, to read and give as a gift.